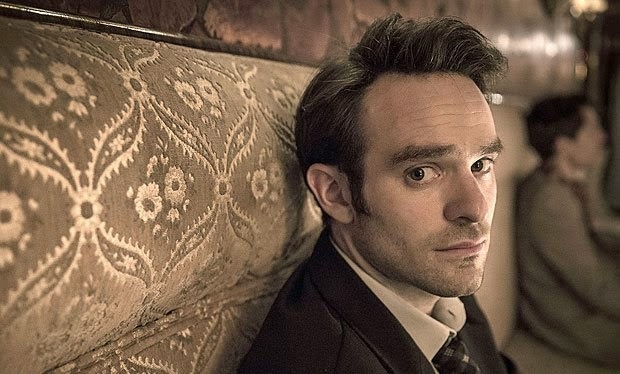 Marvel recently announced that actor Charlie Cox will be playing the "Man Without Fear" Daredevil in the new Netflix series "Marvel's Daredevil,"premiering on Netflix in 2015. Best known for his acclaimed work in "Boardwalk Empire" and "Stardust," Cox will play Matt Murdock, the lead role in this all-new Marvel Television series. Blinded as a young boy but imbued with extraordinary senses, Matt Murdock fights against injustice by day as a lawyer, and by night as the super hero Daredevil in modern day Hell's Kitchen, New York City. Marvel's first original series on Netflix is Executive Produced by series Showrunner Steven S. DeKnight ("Spartacus," "Buffy: The Vampire Slayer," "Angel") and Drew Goddard ("Cabin in the Woods," "Lost," "Buffy: The Vampire Slayer," in addition to writing the first two episodes of "Marvel's Daredevil), along with Marvel TV's Jeph Loeb ("Marvel's Agents of S.H.I.E.L.D.," "Smallville," "Heroes"). The all-new 13-episode series "Marvel's Daredevil" is produced by Marvel Television in association with ABC Studios. Do you like this casting? Let your voice be heard and leave your comments below! Happy Mother's Day from your little monster! C2E2 2014: What do you geek out over?